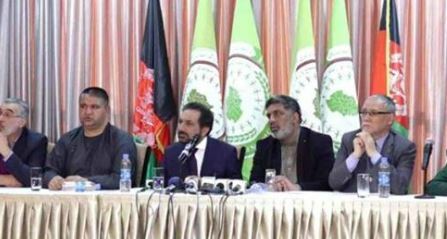 Tolo News: Officials from the Grand National Coalition of Afghanistan (GNCA) on Thursday said that the alliance has reached an agreement about its candidate for next year’s presidential elections. The GNCA did not however name their candidate but said an announcement will be made soon. Meanwhile, close aides to former national security advisor Mohammad Hanif Atmar have said that Atmar will run as a presidential candidate next year. Some of Afghanistan’s mainstream political parties such as Jamiat-e-Islami party, Hizb-e-Wahdat-e-Islami party and The National Islamic Movement of Afghanistan part of the GNCA. Click here to read more (external link).